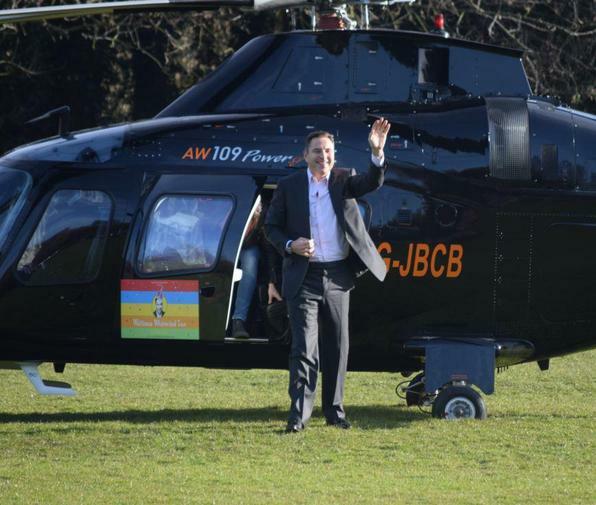 On Thursday 5th March, David Walliams arrived by helicopter on the school field. 9,000 schools across the country invited him to come, and Great Missenden was the first of the 6 schools he visited on that day. The children waved flags to greet him. He then came and talked to the children in the hall, read from one of his books and one lucky child got to interview him. David loved our song we made for him and was even more excited to show Simon Cowell as we gave him a copy! Well done to the children dressed up as book characters for the day and done very well throughout the visit. David Walliams also donated signed books to the school. It was a very memorable World Book Day! Keep checking back for photos in the Gallery and have a look at the highlights below!